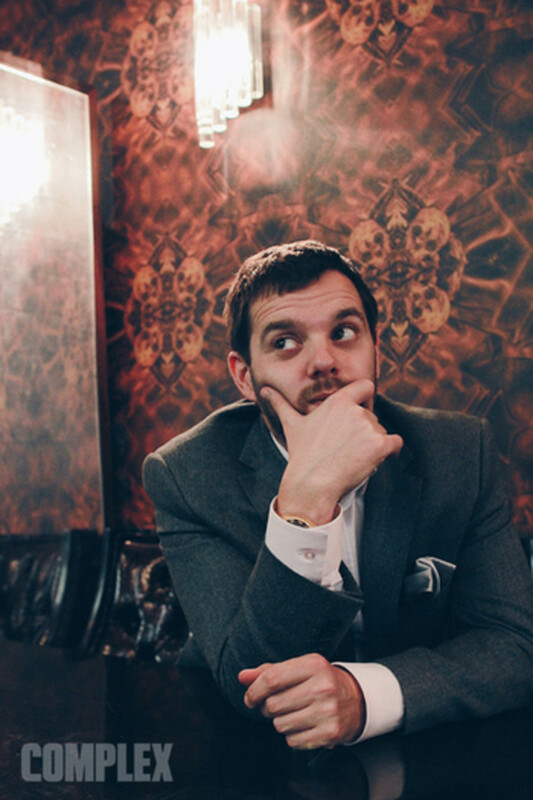 Mike Skinner. (Elliot Simpson for Complex UK). 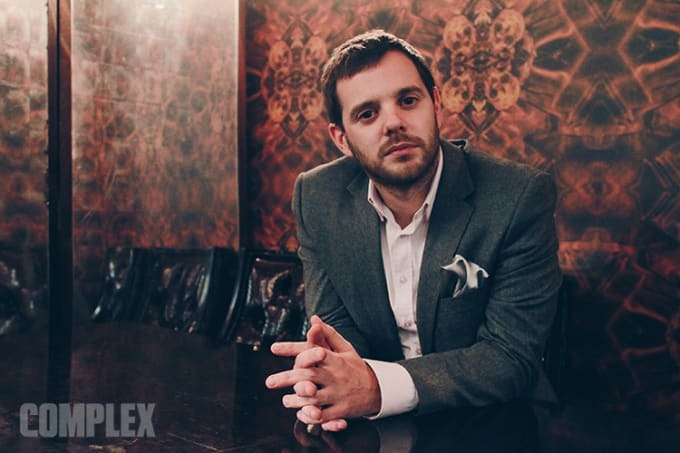 Mike Skinner needs no introduction. A pioneer of honest-to-god lad rap, an advocate of early grime, and founder of iconic and inimitable band The Streets, he fully liberated a generation. Skinner&apos;s career marks a significant moment in musical history. Defiantly boshing pills, cracking on and hustling in order to level a mundane, menial wage, his inaugural six albums spoke to those in Britain and the world over about normality and revelled in its absurdity. Retiring from the stage to run independent record labels, scout rap artists, working behind his Leica lens and generally pursuing a life fuelled exclusively by creativity, Mike Skinner&apos;s dignified retirement from The Streets came when he found himself working for the man, no longer pushing boundaries. Having stayed low for for a few years—DJing in clubs, mentoring artists, and involving himself in many non-commercial initiatives—the 35-year-old returns with a whole host of ballin&apos; projects, prepped for the spotlight. Aside from being the lead producer in new group, The D.O.T, Mike has been nurturing philosophising lyricist Oscar #worldpeace under his new independent imprint, curating bass-centric parties for the likes of Desperados (see footage below), and he also recently shot Dr Martens&apos; latest viral—the music man works behind the scenes to ensure what happens on stage, under his watch, operates under tight quality control. Listening back to The Streets today is an emotional process. Belonging to no genre, time or place, his message remains as relevant and pertinent as ever. Resonating like a coming-of-age biopic, Mike has transitioned from good-spirited lad to a man with integrity and heart. In short, a national treasure. Remember his greatness by supporting the future of Skinner&apos;s next generation army. Read on. How did you enjoy the process of shooting, editing, and creating the Dr Martens Spirit of 69 viral? It was amazing. I think when you&apos;re an artist, you aspire to work to a brief. Before I started the project, the idea was to tell the story of what became of the skins movement and the post-mod. I was terrified, because I wanted to get it right and because of all the assumptions people think of when you say "skinhead." Just working in the system was great. For me, it was drawing parallels between then and now; that&apos;s an artistic boundary. We shot the viral at a club night called Murkage, which is a Jamaican club night that plays a lot of grime and lots of white kids attend and really get into it. The sound is a very black sound, and they cater to a much whiter audience than normal. And that was one of the parallels that actually stood out, whereas there are other things about football culture and even fashion where things really have changed quite a lot and you can&apos;t really make those same comparisons. Issues of race have changed enormously. I personally think black culture has become really quite middle class. They say calm is the new hype, which is very alien to the late &apos;60s where it was truly segregated... There wasn&apos;t a lot of mixing, really. If you think something&apos;s bad, you won&apos;t work hard. Being fully into stuff is important on so many different levels. For those reasons, do you think that grime is a relevant today as it was when it first emerged? It&apos;s a different thing now; we&apos;re in a first revival of grime. I think that grime was truly quite alien the first time around, and now, it&apos;s something that&apos;s just genuinely popular. I think it&apos;s good that all those beefing MCs are friends now, because they weren&apos;t back then. There just used to be a lot of rivalry and I think that really held the scene back. Do you feel the lack of aggression could detract from the passion? What new British MCs are you the most excited about at the moment? Oscar #worldpeace. I just put out a song of his on my label. In fact, we was the reason I started the entire label. I think he really is what the new generation is about, which is slightly more skillful, artistic, and leftfield. Kids like Odd Future and A$AP in America, the things they talk about and the way they dress is more artistic and that&apos;s what the new kids are all into. There&apos;s an integrity to Oscar #worldpeace&apos;s message and lyrics that remind me of The Street, in a disjointed way. Weirdly, in my book I said that I was never gonna let anyone mess it up and that I was gonna mess everything up in my own way and never let anyone in. Now that I&apos;m basically Oscar&apos;s A&R guys, I&apos;m coming up with suggestions and he&apos;s all "I&apos;m going to do it like this" so I&apos;ve fucked myself up by inspiring him to not listen to anyone&apos;s advice he now won&apos;t listen to mine [laughs]. So there&apos;s integrity but it&apos;s much to my personal chartering, at points. After you stepped off the stage to focus on other projects, there was a huge audience left wanting more; people from every walk of life united by your ordinary brilliance. I wondered if Oscar #worldpeace ignites that creative spark in you again? I always wanted to be a producer when I was a kid. I didn&apos;t think I was ever going to become a rapper or whatever the hell I was. I ended up on this ten-year train and I could&apos;ve easily stayed on it but I&apos;m doing what I want to do. I used to make beats and record rappers over them; it&apos;s just what I always wanted to do and now I get to it properly. What do you think of the music scene in the West Midlands? 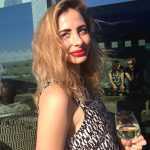 I grew up in the suburbs, so I didn&apos;t have a tough life apart from maybe the threat of getting into the odd fight in a pub. You come to London and there&apos;s all this mad tension with the rappers, it seems so harsh. But, really, there&apos;s so many opportunities in London to get out of something you don&apos;t want to be in because you can literally be anything you want to be. And I think that counts for Birmingham more than anything, because it&apos;s not London, it&apos;s not Manchester. I think it&apos;s a bit of a struggle, creatively. If you look at rappers in Birmingham, they are so much more aggressive—not just in the music, they are just aggressive guys. In London though, there&apos;s a genuine way out. I ton&apos; think that&apos;s the case for Birmingham rappers. Has the new economy of sharing music online changed the experience of working in music fundamentally for you, or do you still approach working with artists with the same mentality? You have to be led by what gets you excited—even if what&apos;s exciting you is wrong or bad, if you&apos;re excited by something, you just work harder so you might be able to make it better even if it&apos;s a bad decision. If you think something&apos;s bad, you won&apos;t work hard. Being fully into stuff is important on so many different levels.